Let Absolute Capital free up your time to service your clients and grow your business while we manage the assets. 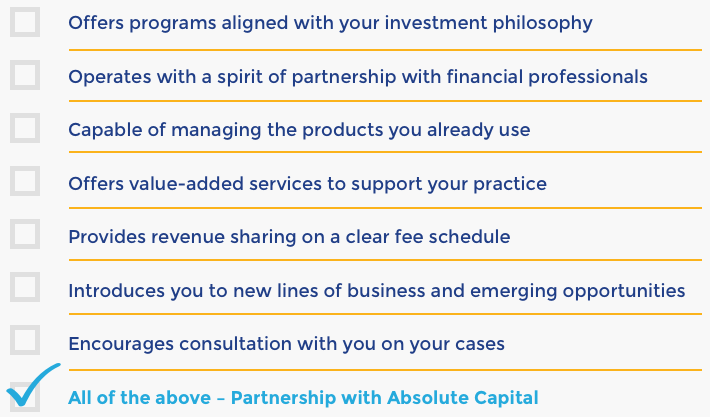 Partner with Absolute Capital to provide your clients with full-time, dedicated money management for their assets. Let Absolute Capital provide you with back office support. We take the administrative burden off of your hands so that you can do more in your day.